At ISB, we make it easy for borrowers to use the equity they have in their home. 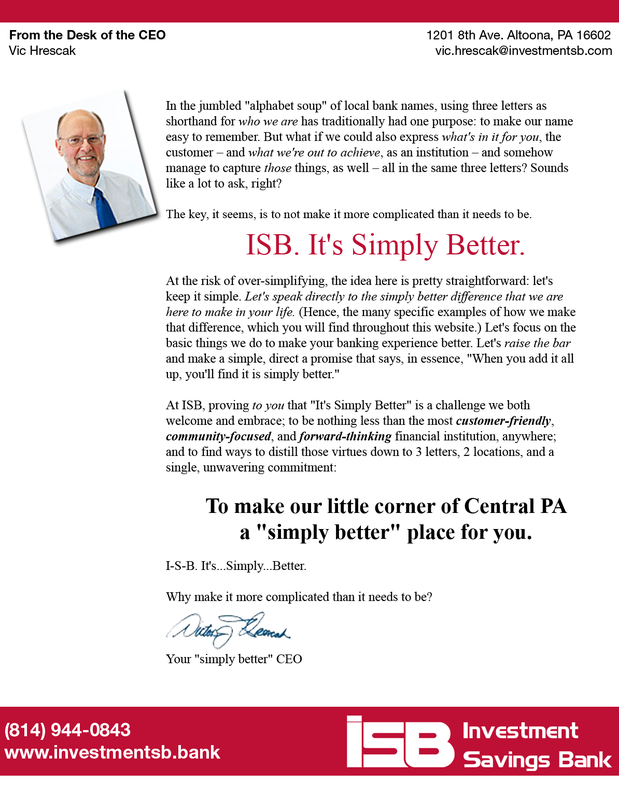 Your good credit makes it possible, and ISB makes it happen. Call or stop in to talk with one of our banking professionals in Altoona or Duncansville to see how a Home Equity Line of Credit may be right for you. Home Equity Line of Credit Accounts are available to any person 18 years or older to use for personal, family, or household purposes. They are secured by your real estate and the amount available is based on the equity in your home. Call us today to find out more about loan amounts! Maximum Loan Amount: 80% of the appraised value of the property less amount owed on mortgage. Recurring expense such as Education and Home Improvements. Also, uses for Bill Consolidation, Vacation and Major Purchases (Automobile, Boat, or Appliances). Use Home Equity Line of Credit for recurring expenses, such as Education and Home Improvements. Also, use for Bill Consolidation, Vacation, and Major Purchases (Automobile, Boat, or Appliances). > Access line by writing a check. > No penalty charge if loan is repaid early. > As payments are made, funds become available to use again. 5.50% (1) Up to 80% of appraisal valuation, less amount currently owed, if any. (1) Annual Percentage Rate is variable, and may change at any time. Property insurance(s) will be required. Investment Savings Bank’s Home Equity Lines of Credit (HELOC) are a way to put the equity of your home to good use. When you have plans to make upgrades or improvements, or also need to make other important purchases, ISB can provide you with at least $5,000 or more, depending on your appraised value and mortgage amount. Important purchases can be possible, thanks to your good credit and the equity in your home. 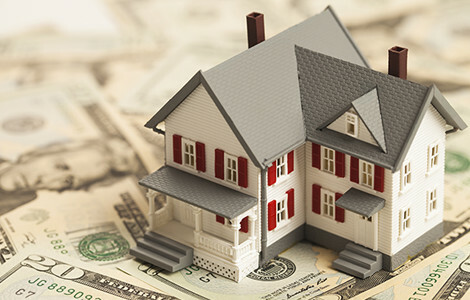 Home Equity Lines of Credit from Investment Savings Bank are convenient and easy to use. You can access your HELOC by simply writing a check from your account, and there is no penalty charge if you choose to pay off the loan earlier than the expected last payment date. Make the wise choice by tapping into your home’s equity with Investment Savings Bank today!